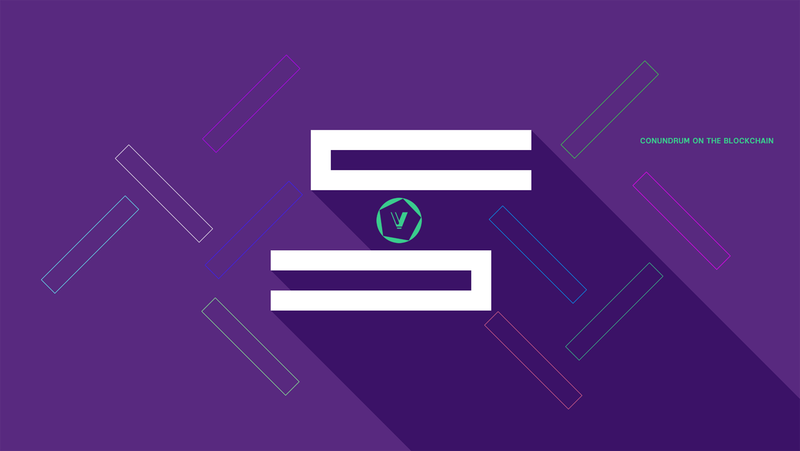 Versa is an apptoken to secure valuable data as chains of inlets stored in single hashes within the network of dedicated nodes. Its goal is to provide a general purpose data layer to secure arbitrary records in the blockchain, and enable a future-proof developer-agnostic platform allowing to build and maintain network applications that are operated by the community for the community. Unlike most databases, the blockchain is distributed across the internet making it practically impossible to shut down. Whereas the Bitcoin blockchain is a record of financial transactions, Versa is designed to store any type of data making it an ideal platform for a wide range of applications, including financial systems, medical records, supply chain management, voting systems, property titles, legal applications, and much more. Versa allows applications and users to create their own blockchains, which are just whatever data they wish to track. Those chains are secured by hashing them together with all the other data from other users, and a single hash is written to the Versa blockchain. 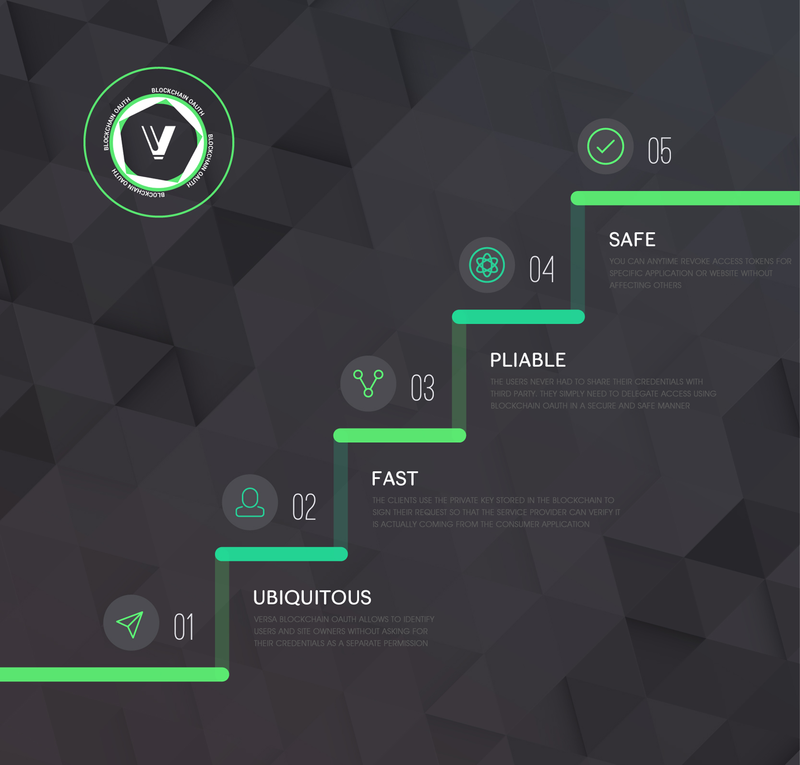 The Versa blockchain consists of a three sets of blocks: inlets storing application raw data or a hash of user private data; inlet blocks that are references to inlets; and index blocks, that contain the merkle roots of the inlet blocks and define which inlet blockchainID has been updated during the time period covered by a newly formed block on the Versa network. Index blocks consist of a list pairing a user blockchainID and the merkle root of inlet block containing data for that blockchainID. Versa groups all inlets under blockhainIDs. Each blockchainID is a hash of the corresponding chain name representing a byte array arbitrarily long in length. This prevents non hashed data from being a blockchainID, that is stored all the way up to the index blocks and also eliminates insertion of nonsensical and obscene plaintext in the block structure. The chain name could be whatever you like and is fairly arbitrary. It could be a random number, a string of text, or a public key. Inlet blocks have references pointing to all the inlets with a particular blockchainID that arrives during a block time period - 25 seconds, so that all the bulk of the data in Versa is the inlets themselves. Each inlet block referenced in the index block takes up 64 bytes (two 32 byte hashes, the blockchainID and the merkle root of the inlet block) and can contain up to 5 inlets. The Versa network can store million such inlet blocks providing the high level management of 5 million distinct inlets with a set of index blocks roughly 64 MB in size. The users can use any set of rules for their chains, and any way to communicate their rules to the users of their chains. All inlets in the Versa network are validated by user apps. As long as an app understands the rules the particular chain follows, the existence of invalid inlets doesn’t cause unreasonable disruption because inlets in the chain that don't follow the rules are instantly disregarded by applications. The first inlet in a chain must hold a set of rules or a hash of an audit program. These rules will be understood by applications running against Versa to ignore invalid inlets client-side. If an application only has the index blocks, it can easily find inlet blocks it is interested in. Apps are interested only in a small subset of blockchainIDs being tracked by the network, and this greatly limits the amount of bandwidth a user needs to use with Versa as their system of record. Once data is entered into Versa, it cannot be changed, modified, reordered, or deleted. Vera network is secured by Satellite nodes - the servers that collect the merkle roots of the inlet blocks and package them into the index blocks. All nodes are constructing a process list for the blockchains, as well as constructing the inlet blocks that will be used to create index blocks at the end of the 25 sec block time upon which decisions made by a node are broadcasted to the rest of the network. The index blocks are then hashed via a merkle tree, and the merkle root is recorded into the Versa blockchain. Nodes don't need the entire blockchain to fully validate transactions and only the highest level blocks of the network are required to completely validate a chain allowing Versa to handle transactions of a reasonably big size. If someone is not specifically interested in entire blockchain's data they would not download it. Once the framework is out and nodes are set up, including issuance of Antidotes and user accounts, users will be able to swap their Versa tokens for Antidotes. 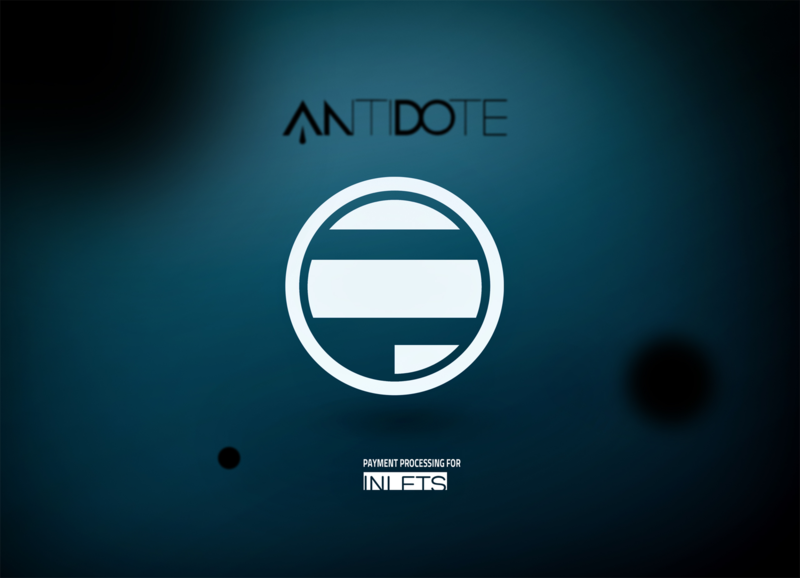 Antidotes is the simple way to pay for inlets and completely decentralize Versa network while constructing a standard, effective, and secure foundation for user applications to run faster, cheaper, and without chainbloating. 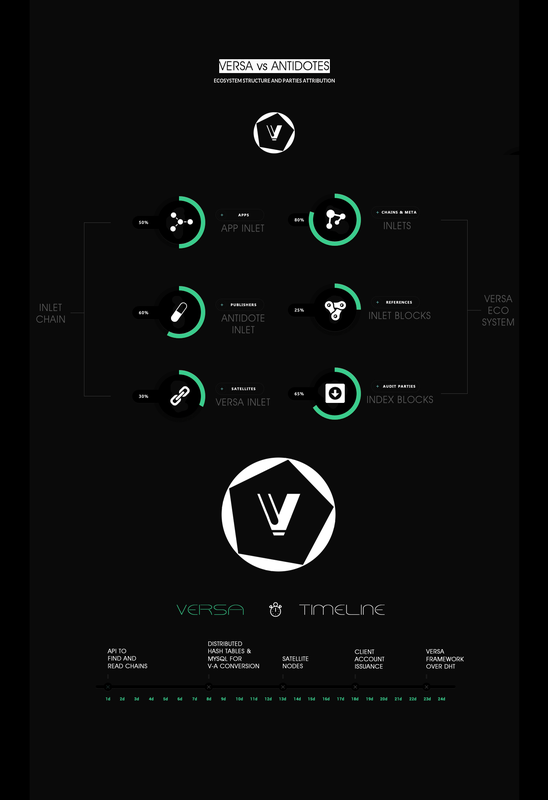 Versa will be converted to Antinodes, and payed out to Satellites to moderate and reward the network clients, and help binding a consensus to ensure the purchased inlets are timestampted to that minute when the user data ordering is received at the Satellite nodes. Once the Antidotes have been purchased, no reverse swap is possible. 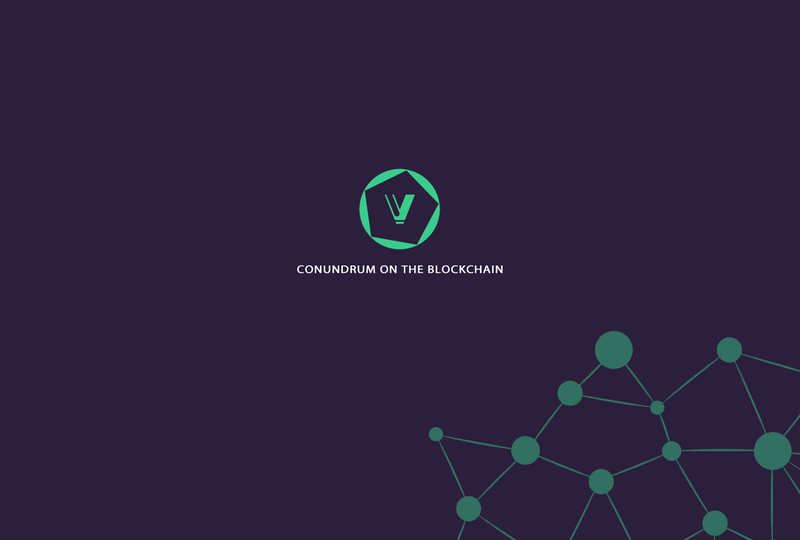 Antidotes will be transferred among users, Versa network, and user blockchains as such: application owner purchases Antidotes with Versa tokens; application records an inlet; Satellite node creates inlet block and index block; Versa secures an anchor (hash of the index block) onto the Versa blockchain. 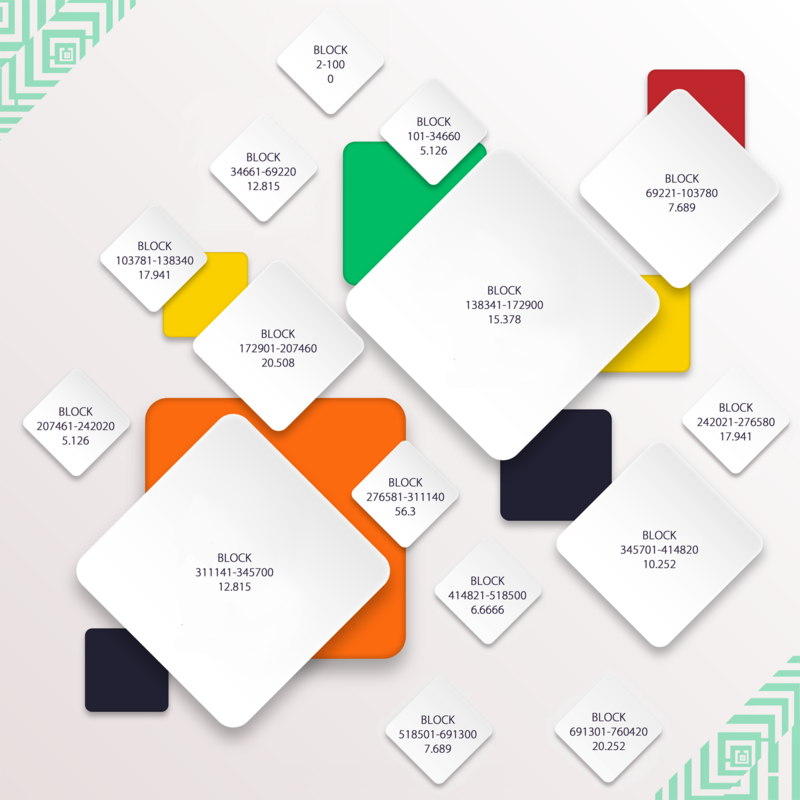 If you would like to increase the index block size you first need to create and update your individual chain. As such you will externalize costs of applications attempting finer-grained organization that must be required to expend more Antidotes than a simple inlet would necessitate to discourage bloating index blocks. The burn of Versa to Antidotes will be done via a special purchase transaction, directing a tokens amount to client account. The Antidotes will be delivered via a private key deposited into that account once the confirmation for swap is received. The Antidotes, once purchased, cannot be transferred to another public key. They can only be used to pay for inlets or vote for Satellite nodes. This will greatly reduce their value to thieves, since they can't be resold. By burning your purchased tokens for Antidotes, you will be able to get inlets and store any kind of sensitive data. Entire blockchains of your personal data that no one can possess, identify, track, crack, steal or brute force. Inlets will be posted to client blockchains via transactions on Versa network. Nodes and other merchants of Versa can sell Antidotes to customers for payment via any cryptocurrency, conventional credit card payments, and for their blockchainIDs. A user provides a public key to hold the Antidotes and a seller converts the appropriate amount of Versa to Antidotes and assigns those rights to the user’s public key allowing you thus buy Antidotes for Versa without ever owning the Versa tokens. Nodes are the only parties to transaction fees on the network. When you as the node's owner sell Antidotes to users, who eventually return Versa to the rest of the system, in neither transaction Versa tokens are transferred between the parties. Antidotes will be non-traceable, so no one can assign them to another user's public key since selling private keys isn’t practical or useful. 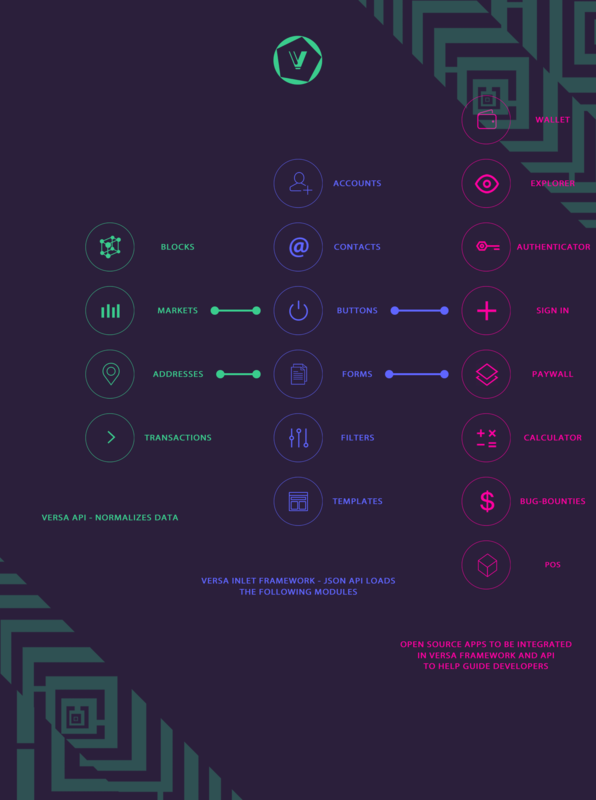 The goal of the Versa platform is to provide the power of the blockchain to a nearly unlimited range of applications and uses, creating a protocol for apps that enable functions and features beyond currency transactions with the benefit of cost effectively separating the blockchain from your own assets. Those submitting a tweet to Versa could craft an inlet as a piece of text and then sign it with a private key to show the origins it came from. Followers of a twitter user will find which chain they publish in and monitor it for updates. Any new signed inlets would be recognized by follower's application software as a tweet. Others could tweet at a user by adding inlets to their chain. Versa blockchain will allow to store the electronic medical records (EMR). Taking advantage of the pseudonymous nature of blockchain technology and its privacy, personal health records will be encoded as digital assets and put on the blockchain just like digital currency. Users could grant doctors, pharmacies, insurance companies, and other parties access to their health records as needed via their private key. Applications built atop Versa platform will work very similarly to the ones we have today – just like Coinbase works similarly to PayPal. Versa aims at getting them to talk to each other just like email apps and bitcoin wallets can interoperate. As the Versa architecture commoditizes much of the value, venture capitalists, entrepreneurs and investors will be better off thanks to individual ownership of the data and high consumer Antidote market power. Versa provides benefits to create audit trails that can't be modified in any way ensuring inlets in databases are entered a certain day. This will serve for purposes of traditional banking as the accounting data is as unalterable and transparent as the blockchain itself. Versa blockchain to enable authorization between platforms, sites and third-party apps. Users don't need to give untrusted parties a permission to sign in to their socials such as twitter, myspace or facebook to authorise external services to post on their behalf or do certain things in order to access the desired resource. One does not necessarily need to log in to neither of them. To verify via blockchain a user gives publicly only display name or any arbitrarily faked set of letters, that is stored on the blockchain and can be called by externalies, username and password. No need to expose your twitter or facebook IDs to new apps because using the blockchain public layer instead greatly helps to leverage the data from popular social networking services, and enable both party to avoid having middle services. This will build an ecosystem that is good for all users as well as many internet service providers and, in particular, reduce the amount of passwords sharing that happens between websites and applications. By decentralizing identity and authorizations to blockchains both applications and end consumers will benefit from a better more distributed architecture of identity. 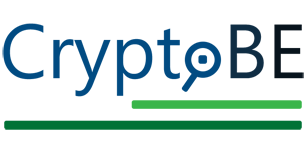 Versa will allow individual volunteers to make their computing resources and infrastructure management available to consumers and charge fees for their specific usage. All the users within Versa community computing platform can contribute the raw resources of their computing cycles without involvement in setting the research agenda. 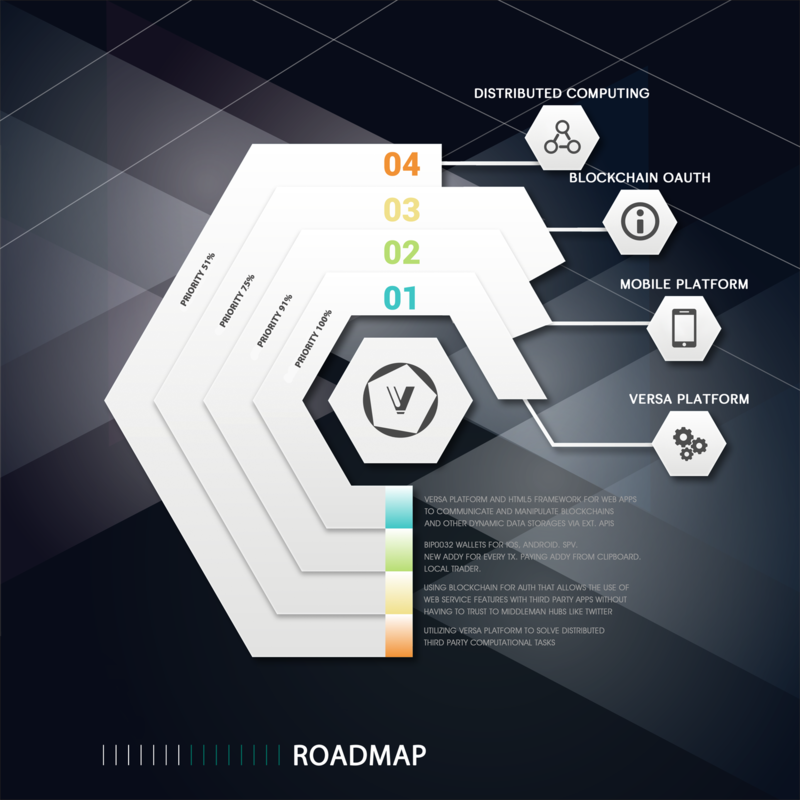 By using the resource-allocation mechanism of the Versa blockchain non institutional researchers could access to computing time for their own projects of interest and encourage all the other clients to specify their own computing project and access remote grid desktop resources via a blockchain structure. Each client will share computational cycles which can be used by researchers. This will provide the highest potential possibility to turn the Versa platform into large-scale data warehouse and computational project being assembled to focus on scientific and industrial research. This is the Crowdfund offering for Versa. There is a limited amount of Versa available and the extended funding is aiming at facilitating the growth and development of Versa platform after it attained the full distribution. The Versa funding will go towards the first days worth of expenses which include developing the core framework infrastructure and usability for the issuance of client accounts before the burn period has started. The funds will go towards launch promotion and miscellaneous expenses. Any remaining funds that were not used for the crowdfund will be destroyed by the hostage provider. 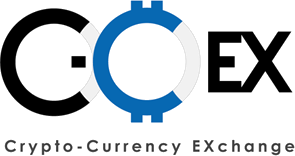 No trading of the coin will be allowed until the crowdfund ends and the escrow is released. The hostage for the Crowdfund will be chosen between different exchanges depending on whether one of them appears to be the better fulfillment ensuring the Versa needs are fully met helping us to become a true indicator to get the project off the ground. The proceeds from this sale will be used to turn developmental goals of Versa platform into swift operative steps enabling users and developers to rapidly deploy and scale applications built atop of Versa platform across public and private blockchains. Mostly proceeds will be allocated for pay for servers, for bandwidth, for marketing and branding as well as legal and business development. wow so many words my eyes hurt.........What is the algo? Pure POS, 100% of the available supply will be distributed through the Crowdfund. The stretch goal for Versa Crowdfund will be announced at the launch time. The crowdfunding marketcap will be revealed in less than 15 hours. Pure POS and Crowdfund only. Anyway thanks. I wasted 5 minutes reading this post, can i get some coins? Mmm... How many coins would you like to get? Perhaps, we can allocate a small amount of Versa for giveaways, but definitely, pre-distribution is not a good way to protect the value most backers may wish to put on their investments in order to support Versa startup. Perhaps you should be more interested in what we do to gain stability via design and volume, rather than what you can gain? Sorry, why do you need POW? To dump all your holdings immediately after someone sets up a wall? Such type of distribution as mining will soon or late become obsolete. We already have much better and more efficient way of token distribution. IPO, ICO, Crowdfund - call it what you will, it all boils down to giving your cash to some random in the hope that the magic beans grow into a beanstalk. What is this about and what's the price?